SUNY Buffalo State has an acceptance rate of 64 percent, meaning it has somewhat selective admissions. Students with good grades and high test scores have a good chance of being admitted, especially those who have taken AP courses, participated in sports or after-school activities, and have some work or volunteer experience. There is an essay component of the Buffalo State application--check out their website for more information. First opened in 1871, the SUNY College at Buffalo, more frequently called Buffalo State or Buff State, is the largest of the comprehensive colleges in the SUNY system (the comprehensive universities at Albany, Binghamton, Buffalo, and Stony Brook are all larger). Undergraduates can choose from 140 academic programs, and graduate students can pursue 60 areas of study. 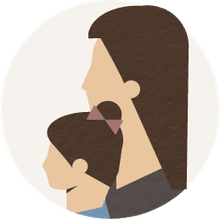 The college originally specialized in teacher education, and today education and other professional programs such as business, communications and criminal justice are the most popular among undergraduates. 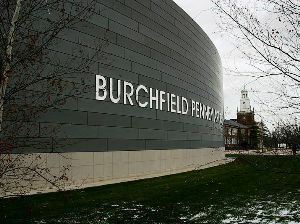 The college also has strong visual arts programs that are bolstered by the new Burchfield Penney Art Center located on the Buffalo State campus. On the athletic front, most of the Buffalo State Bengals teams compete in the NCAA Division III State University of New York Athletic Conference.